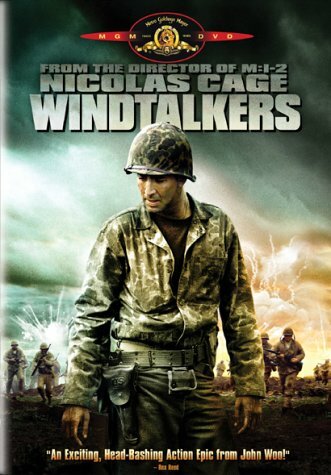 Windtalkers will be released on DVD this month,sadly without any special features DVD consumers have been so accustomed to. The DVD will include both the 16X9 enhanced widescreen version and the standard pan & scan version. The DVD will also come with the standard trailers for the film as well as trailers for other MGM pictures. Legendary DVD label Hong Kong Legends is set to release The Killer on DVD next month. 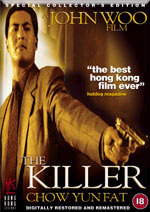 The UK label secured the rights to The Killer as well as three other John Woo films late last year. The Killer would be the first John Woo film released under their impressive label. The Killer DVD will be released on 21st of October and this could be the definitive follow-up to the Criterion Collection's. The film is digitally re-mastered on DVD with anamorphic widescreen presentation and 5.1 Dolby Digital audio. The DVD will be accompanied by a gallery of deleted scenes, interviews segments with cinematographer Peter Pau, actors Sally Yeh and Kenneth Tsang. A feature length audio commentary by HK cinema expert Bey Logan will also be included. I'm fairly excited about this DVD frankly to see the original cast of the film reflect on the making of the film is hard to come by and I'm glad that Hong Kong Legends manage to sit down with some of the cast members. However an audio commentary track by Bey Logan ? Haven't we heard enough from John Woo on the two audio commentaries he recorded for this film ? What possibly could HKfilm guru Bey Logan add to the film ? I always hated commentary by people who are not involved in the film, remember Dave Kehr and Roger Avary on Criterion's Hard Boiled? Veteran martial arts filmmaker Chang Cheh, mentor to kung fu film superstar Bruce Lee and action director John Woo, has died at the age of 79, newspapers reported Sunday. Chang died of pulmonary disease in a hospital Saturday morning, according to several Chinese-language newspapers in Hong Kong. Born in 1923 in mainland China, Chang was one of the most distinguished filmmakers in Hong Kong during the 1960s and 1970s. He was scheduled to receive a lifetime achievement award at this year's Hong Kong Film Awards but did not attend the ceremony due to his poor health condition. In his place, Michael Hui Kwoon-Man accepted the accolade while Jimmy Wang Yu and other actors from the "Chang Cheh acting troupe" attended to show their support. John Woo, who at one time worked as an assistant director under Chang, appeared via a taped segment to pay tribute to his mentor. Chang Cheh directed well over 50 kung fu films during his prime including The Boxer from Shantung,The One-Armed Swordsman and The Wandering Swordsman. Director John Woo serves as assistant director to Chang Cheh in several films like Blood Brothers early in his career and fondly regards Chang Cheh as one of his biggest influences in his career. Fans of Chow's Hollywood debut The Replacement Killers can look forward to a new special edition DVD of the film scheduled for release this March. The film has been available on Sony TriStar Pictures DVD for quite some time but it was noticeably missing some deleted scenes as evident on the theatrical trailer. Apparently most of the key scenes with Chow conversing in english were left on the cutting floor and hopefully will be restored on the new special edition DVD. The special edition will contain supplement materials such as the featurette Chow Yun Fat Goes to Hollywood, deleted scenes and an alternate ending. Audio commentary by director Antoine Fuqua and the HBO special Where The Action Is will also be included. I'm quite excited about the prospects of the alternate ending as I have not heard anything about an alternate ending been shot prior to this. Could this alternate ending feature a much needed kiss between the two leads, Chow Yun Fat and Mira Sorvino ? Chow and Mira make a great screen couple and Chow has always had a special charm with the ladies (something which Jackie Chan and Jet Li lacked) so I think it's injustice that the two didn't at least share a kiss at the end of the film. I'll leave you with a film still of the original ending to whet your appetite, do come back tomorrow as I will be opening a new Replacement Killers gallery, you won't regret it!